Did you know that there are more than two and half thousand homes in the South West officially classified as “at risk”. These figures were obtained after inspections by Gas Safe engineers. 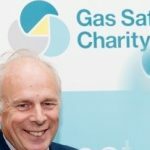 The Gas Safe Charity is trying to raise awareness of the dangers. Around 40 people die every year from carbon monoxide poisoning. Several thousand more end up in hospital A and E departments. These are needless events which can so easily be prevented if gas appliances are properly checked and tested by qualified engineers. The more people know the risks the better – that’s why the Gas Safe Charity took its case to Westminster and that’s why I am glad to lend my name to the cause.